Let Darth Vader hold your cash. 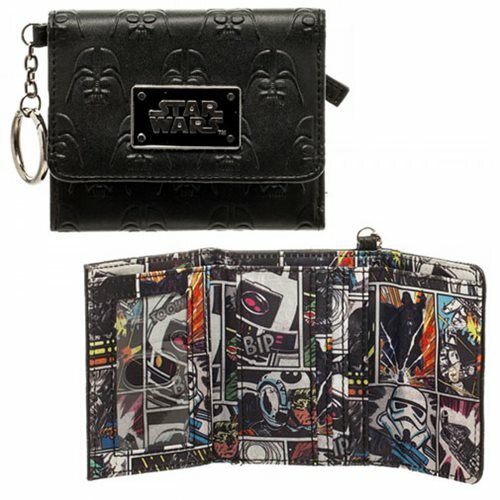 The Star Wars Darth Vader Mini Trifold Wallet features the Star Wars logo and multiple images of the Dark Lord's helmet on the outside, with a collage of colorful Star Wars comic images on the inside. How cool is that?! Ages 14 and up.